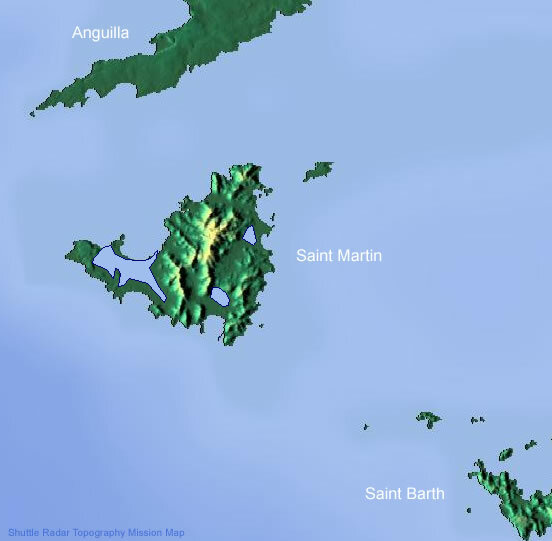 St. Martin is an island of dual nationality, the Northern section is French and known as St. Martin and the Southern section is Dutch and known as Saint Maarten. So French and Dutch are the official languages although English is also widely spoken. 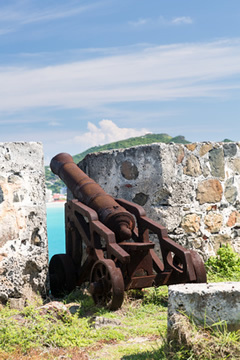 Saint Maarten is the smaller, Dutch, part of the island shared peacefully with France’s St. Martin. It’s the world’s smallest island on which two separate nations, with two very different characters and sets of laws and customs, co-exist on either side of a border marked only by welcome signs. 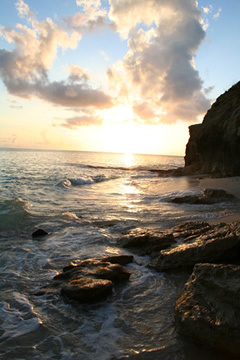 Only 17 square miles, it has become one of the Caribbean’s most popular holiday and shopping destinations. Not only can visitors hop across the invisible border to get a taste of French Caribbean life, they can also enjoy the advantages of shopping in one of the world’s few completely tax-free ports. 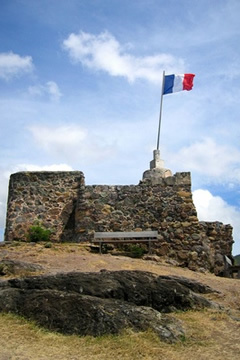 St. Martin is 21 square miles of French territory with a strikingly French way of life. The currency, the language, the goods in the shops, the escargot and frog legs in the restaurants and the pastries and breads in the bakeries, the cars, the fashions and the sheer style – it’s all unashamedly French, with the added Caribbean attraction of superb beaches on which to spend the hot, sunny days. 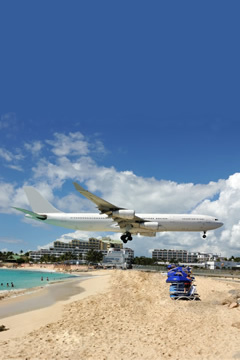 St Maarten / St. Martin is served by the Princess Juliana International Airport and is easily accessible from the United States, Europe and the Caribbean. There are regular flights into St Martin from the US with American Airlines, US Airways, United Airlines, Continental and Delta Airlines. 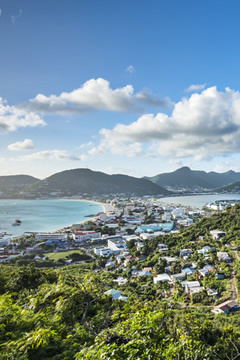 To clear St Martin customs, a current passport and a return or onward ticket is required. Visas are not required for US, Canadian, European Union and Caribbean nationals. (Also upon your departure, you will need $30 cash for each person, over age 2, returning to the states, paid at the airport for St Martin departure taxes, so don't spend all your cash!). It is a short distance form the airport to the bases and taxis are readily available at the airport. The approximate fare to Captain Oliver’s Marina (Oyster Pond) is $25 for up to 3 people, plus $5-$8 per extra person one-way with 2 bags free per person and $1 for each additional item. Lagoon Marina is closer to the airport, approx. $10 for 2 people. At Lagoon Marina there is the Lido supermarket located 10 minutes away from the base. La Grande Marche and LD supermarkets are bigger and are a 15 minutes walk. Remember to check for all the wonderful French patés, cheeses and wines. From Captain Oliver’s Marine, the nearest comprehensive supermarket is 15 minutes away by taxi. Shops open 8am-6pm (Mon/Sat), however, most are closed on Sundays. Supermarkets open 9am - 1pm on Sundays. Be sure to bring plenty of sun block, polarized sunglasses, and a hat or visor. As space is limited on boats (and airplanes!) please pack light and use easily storable duffel bags. 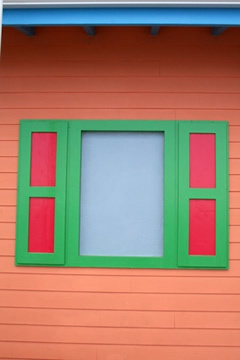 Casual wear is appropriate everywhere in St Martin. Be sure to bring a jacket/sweater/sweatshirt or rain slicker, for the occasional cool evening or windy weather. Good boat shoes with non-slip soles are a must. 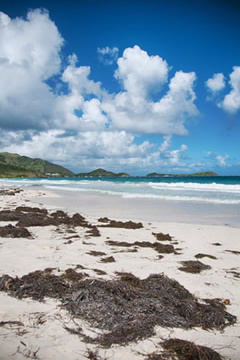 The Renaissance Islands, part of the Leeward group, include St. Martin, St. Barth and Anguilla. The islands are clustered and offer exhilarating but short line of sight passages, with a wide choice of anchorages. The conditions are slightly more challenging than the British Virgin Islands, but easier than the Windwards. The area is famous for being sunny and breezy, with occasional showers and rainy days. Winds are nearly always NE to SE, 10 to 25 knots. They may be stronger in winter. The cruising is usually good all year round, although winter swells and the hurricane season (June to October) may affect your planning. The worst hurricane months are August and September. The official currencies are US dollar (US$) and Euro. Credit cards can be used for payment in larger establishments and restaurants. Banks are open 9am-3pm, weekdays only. Please note that you can change money at the bases. Lagoon Marina has the following facilities: Showers, bathrooms, wireless internet, restaurant, laundry and small grocery across the street. Captain Oliver’s Marina has the following facilities: Showers /toilets, restaurants, bars, small gift shops, convenience store, cive shop and grocery store. In Oliver’s Marina, your yacht will be ready at 6pm for boarding. Please be aware that the yacht and chart briefings will be arranged on your arrival. At the end of your charter your yacht will need to be vacated by 9am so we recommend that you return to the base the day before. In Lagoon Marina, you may board the yacht at noon (charter contracts start and finish at noon). Allow a couple of hours to complete the chart and boat brief procedure before you are ready to leave the dock.